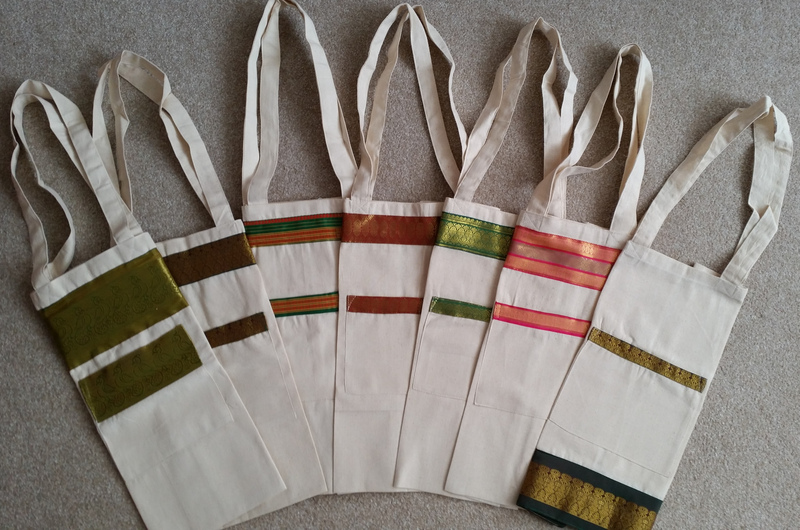 A pack of 3 strong, beautiful cotton shopping tote bags with pocket and velcro with mixed fibre border, environmentally friendly Reuse these again and again. These bag is strong and durable, and perfect for personalisation with fabric paints, transfer and screen printing. The bags measure ~41 x 36cm. the handle are 30cm from the top of the bag to the top of the handle 11 cm apart. Pocket on the side ~15 x 16cm with Velcro to close in middle and a lovely border. Rondom colour border will be sent.